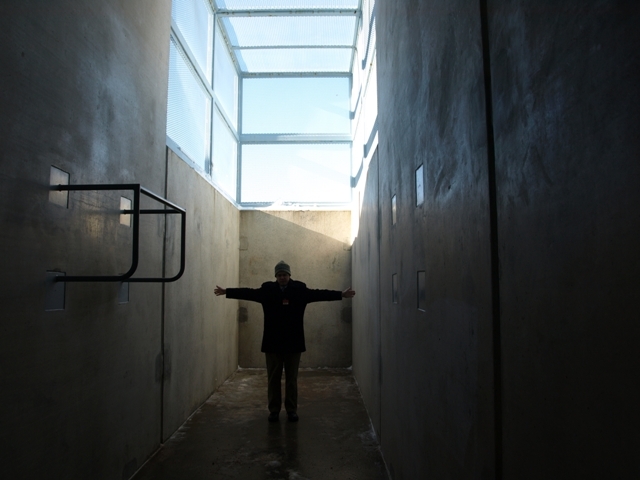 Troy Anderson, a prisoner with mental illness who was held in administrative segregation — solitary confinement — at the Colorado State Penitentiary (CSP) is suing the Department of Corrections. He brings claims under the 8th Amendment for lack of outdoor exercise and insufficient mental health care, under the Due Process Clause of the 14th Amendment challenging the arbitrariness of his review process and the process for approval of formulary medications, and under the ADA and Rehabilitation Act for discrimination based on his mental illness. CREEC co-counseled with the Civil Rights Clinic (“CRC”) at the University of Denver Sturm College of Law. We had a seven-day bench trial starting on April 30, 2012. We got a bit of press on the case after closing. On August 24, 2012, the judge issued his 40-page Final Order and Judgment. Mr. Anderson prevailed on his claim for outdoor exercise, and in part on his claim for access to mental health care, though only under the 8th Amendment, not the ADA or Rehab Act. The judge ruled for the state on his due process claims. On September 21, 2012, Mr. Anderson moved for reconsideration of the decision on his due process claim. wasn’t really outdoors and didn’t really permit a heck of a lot of exercise, and because Mr. Anderson’s mental health treatment was drastically reduced at Sterling below what it had been at CSP and, crucially, what the DOC had testified at trial he was receiving. The Court held a hearing on September 4, 2013 during which he ruled that the exercise area at Sterling did not comply with his August 24, 2013 Order and that he was not going to reconsider his due process ruling, but expected the DOC to comply with its recently-promulgated regulations. He has ordered the parties to meet and attempt to resolve the matter. Following more than a year of meeting and attempting to meet, on September 12, 2014, we filed a Motion For Enforcement of Judgment And Further Relief or, In The Alternative, For Hearing On Order To Show Cause. Reply in Support of Motion for Enforcement of Judgment. Because the CDOC moved Mr. Anderson rather than constructing exercise yards at CSP, CREEC and the CRC brought a class action suit against on behalf of all prisoners at that facility. All inmates who are now or will in the future be housed in administrative segregation at the Colorado State Penitentiary and who are now or will in the future be subjected to the policy and practice of refusing to provide such inmates access to outdoor exercise. With cross-motions for summary judgment pending and trial scheduled in six weeks, the parties met for mediation in September, 2015, and reached a memorandum of understanding. On November 2, 2015, the parties reached agreement on the terms of a class action settlement that required CDOC, among other things, to construct outdoor exercise yards at CSP to be completed by December 31, 2016.